Dub Jam takes it’s inspiration from a Jamaican beach shack. 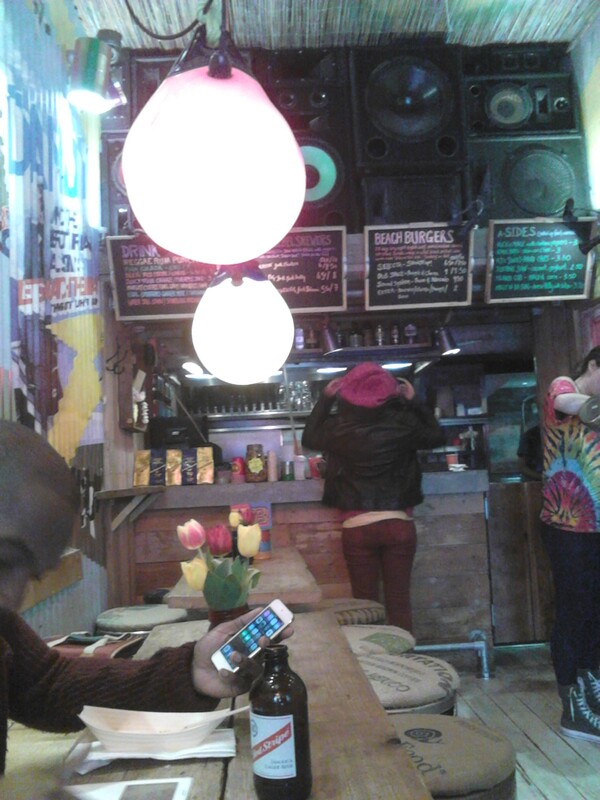 The bar is a surfboard, the seats are barrels, the walls feature Bob Marley lyrics and the colourful walls are littered with interesting things. 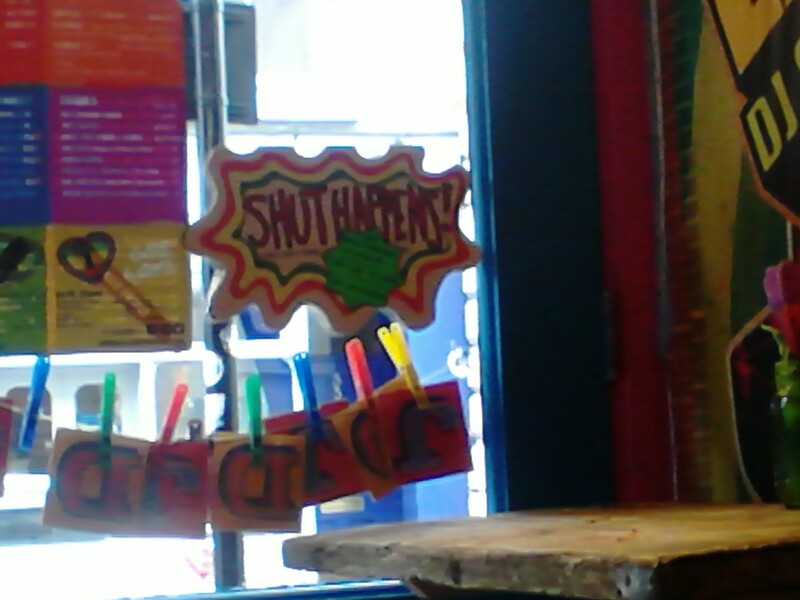 We decided to go for the Jerk Rebel skewers. 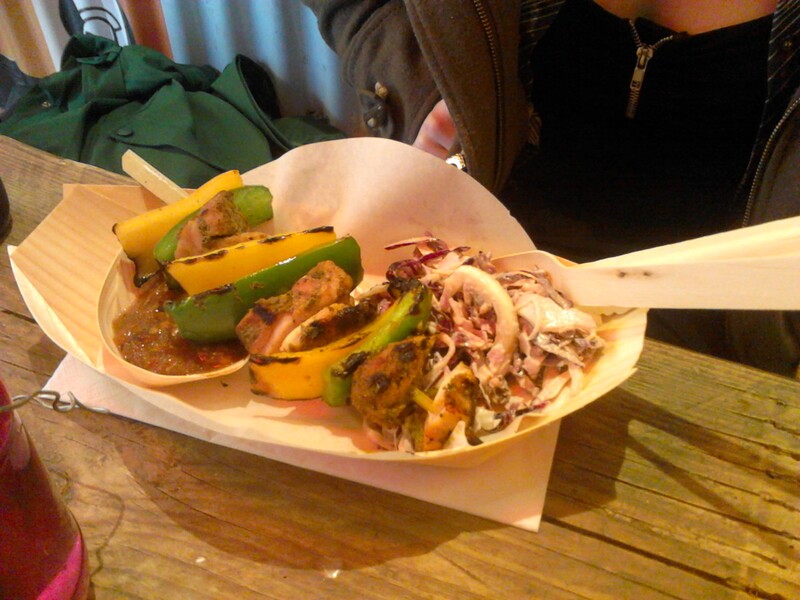 Ruth had Jammin’ Jerk Chicken and I opted for Veggie Bangarang (the halloumi version). 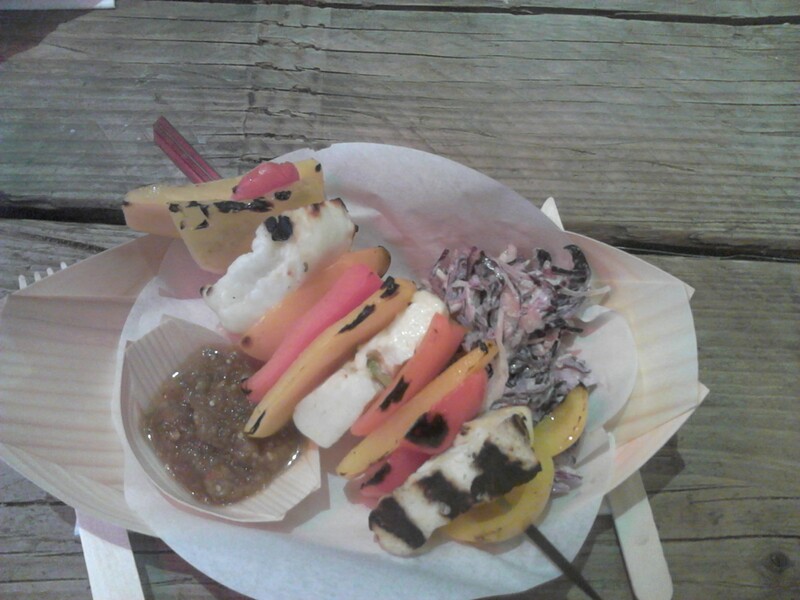 The skewers came with 48hr marinated, 8hr slow cooked chicken (or halloumi) and smoked, BBQ’d peppers, served with slaw and can be served smokey or hot. We both went for hot. 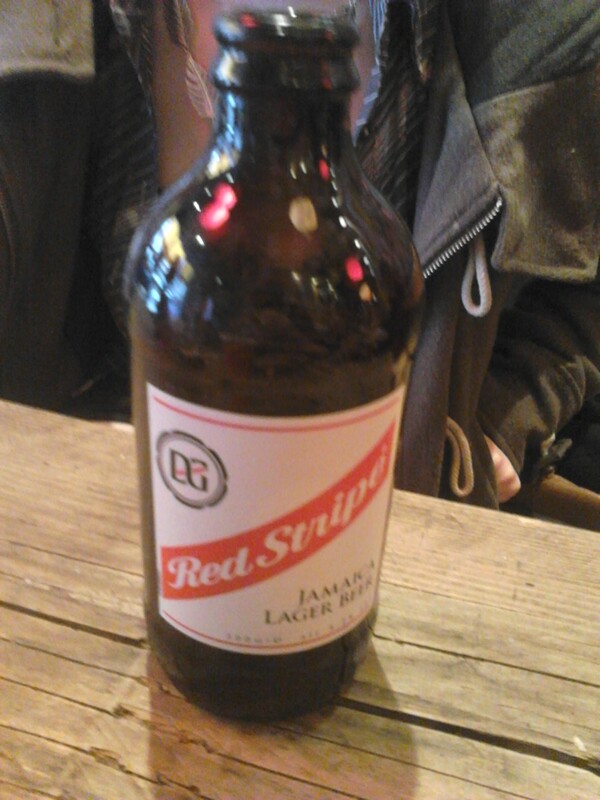 To drink, Ruth had a Red Stripe, nice and refreshing, and I had a Marley coffee, strong and bottomless! 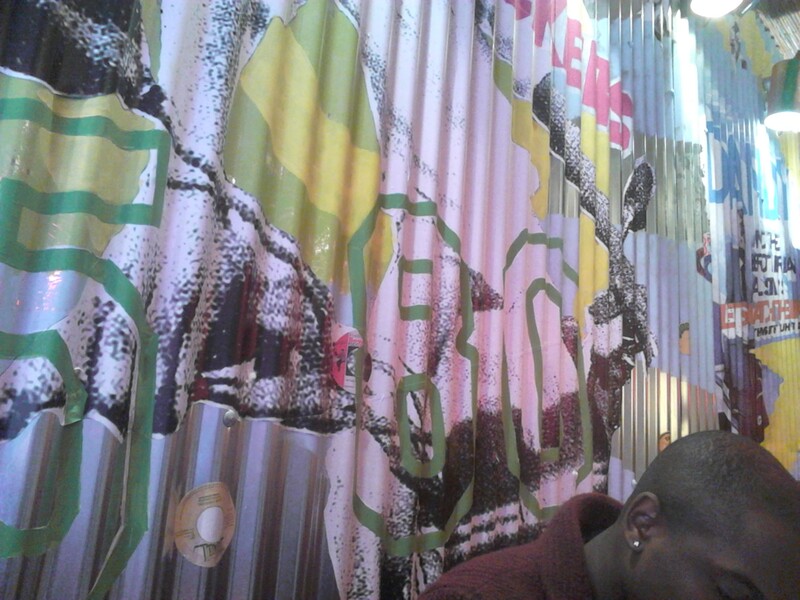 Overall we were pretty impressed with the decor in Dub Jam. However the food was standard, and the menu was limited. This is probably due to it’s prime customers – the tourists of Covent Garden. 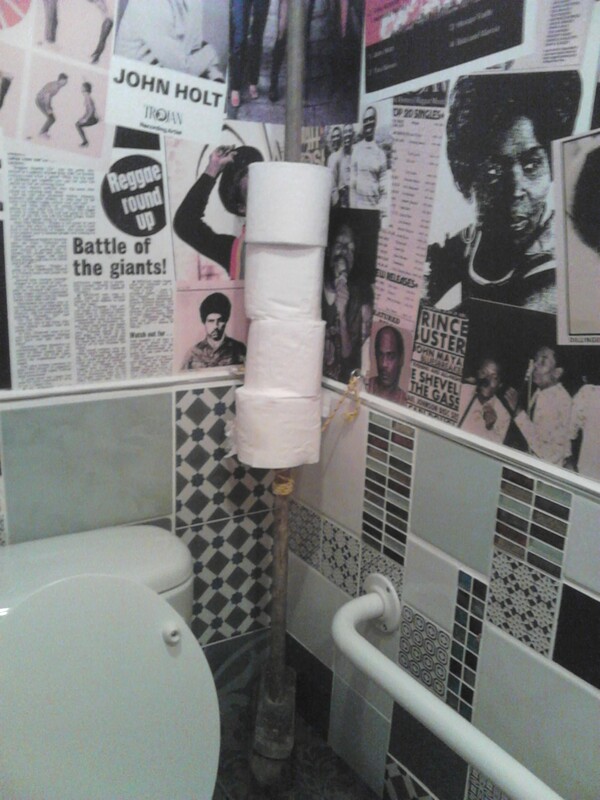 This entry was posted in Uncategorized and tagged beer, coffee, covent garden, Dining, dinner, Dinnergeddon, Dub Jam, Eating out, Food, Jamaica, jerk, London, restaurants by dinnergeddon. Bookmark the permalink.